The trio of terror make their sage football wisdom available to the world via a podcast. 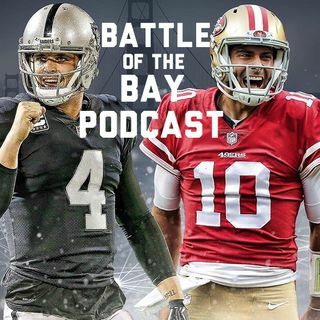 They go over the Saints being robbed of a trip to the Super Bowl, who they think will win the big game, Derek Carr challenging Stephen A Smith to a duel of might, and the infamous Antonio Brown's not-so-subtle hint that he wants to play in the red and gold. Michael's Question of the Day at 45:55.